The handling and convenience of this compact 35mm lens are enhanced by an internal focus mechanism that keeps its length constant during focusing. Lightweight design further augments portability as well as handling. All of this plus outstanding ZEISS resolution and contrast make this lens an ideal match for full-frame α7 series bodies. Outstanding resolution and contrast are the key features of this lens. Three double-sided aspherical elements effectively control spherical aberration, while extensive application of the ZEISS T* coating not only minimizes flare and ghosting for natural colour reproduction, but is instrumental in achieving impressive contrast as well. 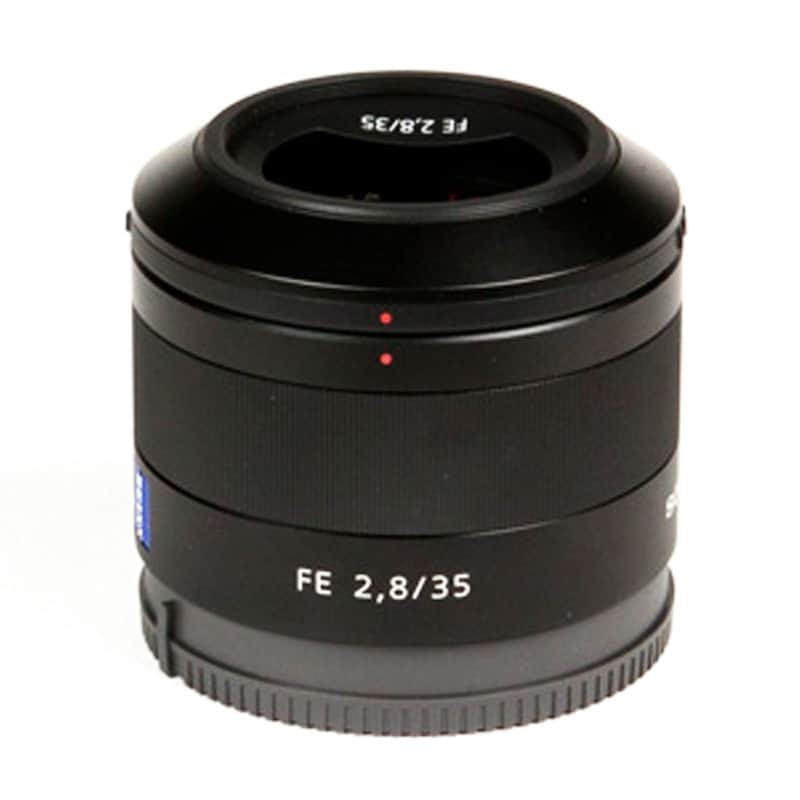 A maximum aperture of F2.8 facilitates shooting in a wide range of lighting conditions, with consistent image quality at all apertures. Bright lenses are often large, but a new focus lens group design allows a large maximum aperture in a compact lens. A circular aperture design contributes to gorgeous bokeh for smoothly defocused backgrounds. The supplied ALC-SH129 is a cap type lens hood. This design is a perfect match for the compact lens barrel, contributing to both portability and protection. A filter thread is provided in the lens hood itself, allowing 40.5mm filters to be attached while the lens hood is in use.